Does your portfolio include any precious metals investments? Gold miners have been viewed as the de facto must-have stocks to add to any well-balanced portfolio for as long as anyone can remember. I’m not saying that its not a good idea to have a miner or two in your portfolio, but when it comes to the precious metals sector (and all of its volatility), there are better options to consider at the moment. One of those options worth considering is a streamer such as Wheaton Precious Metals (TSX:WPM)(NYSE:WPM). For those that are unaware, streamers have a lucrative business model that consists of the best (and most profitable) aspects of a traditional mining operation but without many of the risks that traditional miners have to put up with. Streamers provide the upfront financial muscle for the traditional miner to begin operations on the mine in exchange for purchasing a certain percentage of the metals extracted from that mine at an extremely discounted rate. That discounted rate is considerably lower than the market rate, and the streamer can then sell those metals on the market for the going rate. By way of example, Wheaton recently signed a new streaming agreement with Hudbay Minerals that means Wheaton is eligible to purchase up to 100% of the gold and silver from that mine at a rate of US$450 per ounce of gold and US$3.90 per ounce of silver in exchange for an upfront US$230 million payment. To put that discount into context, an ounce of gold currently trades at just shy of US$1,300 and an ounce of silver comes in at just over US$15. That’s not a bad business model. 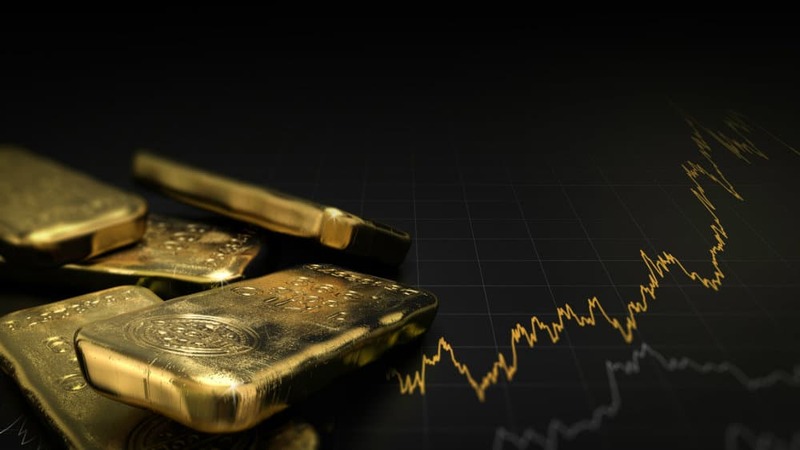 And keep in mind the current prices of gold and silver are on the lower end of late; industry experts see gold appreciating to nearly US$1,400 or more within the next year, while silver could see its own breakout to upwards of US$17.50 or higher this year. There’s no denying the fact that Wheaton has a lucrative business model, but what really excites me looking forward to 2019 and beyond has more to do with the mix of streaming metals the company has. Long-time investors may recall a time when Wheaton’s name had “Silver” in it. This was removed to signify, among other things, the fact that the streamer was diversifying heavily into other metals apart from silver. This was a clear takeaway from Wheaton’s year-end report for fiscal 2018 that saw a reduction in silver produced during fiscal 2018 when compared to 2017 of 22.9%, while that was more than offset by a surge in gold production, which hit 107,567 ounces in fiscal 2018, representing an 11.5% improvement year over year. Wheaton also began streaming palladium in 2018, producing 5,869 ounces of the precious metal. Cobalt is another interesting metal to note, which isn’t reflected in Wheaton’s production figures yet. Under a streaming agreement signed last year, Wheaton will be entitled to receive cobalt from the Voisey Bay mine in Newfoundland and Labrador. While this may seem like any typical stream, there are two key factors to take into consideration. First, cobalt is used in a variety of applications from large turbines to magnetic steel to use in electric vehicles and smartphones. In other words, it’s one of several metals that are growing in demand, which leads to the second point: availability. The largest cobalt mines in the world are in the Democratic Republic of Congo. The mines have been linked to a string of labour disputes and disruptions over the years, and the government there has also taken steps to impose higher taxes on metals extracted from mines within the country — a move that has prompted some major consumers of the metal to second-guess sourcing cobalt form that market. In short, Wheaton’s streaming agreement in Voisey Bay looks like the much more attractive and safer option for long-term investors. Fool contributor Demetris Afxentiou has no position in any of the stocks mentioned. Wheaton Precious Metals is a recommendation of Stock Advisor Canada.